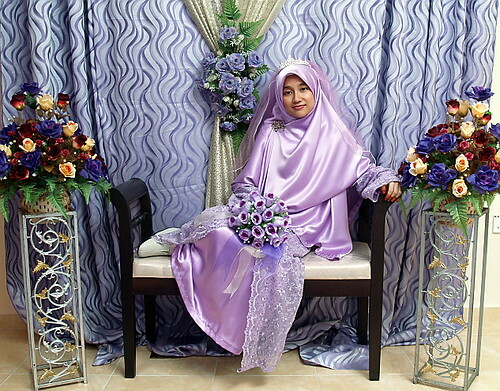 Probably some of the most beautiful (and colourful) bridal outfits hail from Malaysia. These are just a selection of gorgeous photos of Malay brides on their special day (it helps that the wedding photographers are pretty awesome too!). So if you're looking for something modest and a little different from the standard gowns, these should provide some ideas. Can you pick a favourite? 2 and 3 are soo beautiful! The sixth one from the top - red with that sheer white veil coming down over a likewise red hijab - is jawdroppingly gorgeous. I just gasped when I saw it. Masha Allah! They are all beautiful! I love the white ones and the last peachy one. Beautiful. 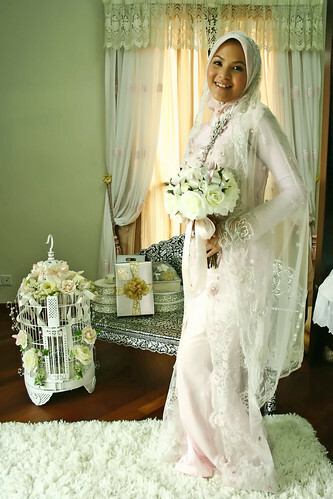 My son recently married a wonderful Malaysian young woman and she also had a gorgeous wedding gown...as well as did her sisters' for their weddings...so colorful and feminine and modest. i love the 1st ,sixth and the last one.beautiful. The white wedding gown thing seems to be something of a Western influence. I've seen wedding gowns of every color in Islamic bridal features. Its from those type of picture i was inspired, and had a similar outfit, which i wish i could show ppl, and make them understand its not hard at all to look amazing in you wedding day but also to follow your faith. Gorgeous!!!! but not my type its extremly over my style. 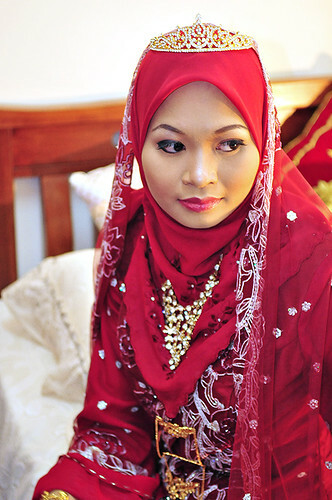 Hi everyone, I Malaysian and would like to offer some answers, the malay wedding will typically be 3 events; the akad nikah (Islamic wedding ceremony) where almost all brides would wear cream, ivory or white, then the receptions ( one at the bride's and one at the groom's) where the outfits are normally colorful - just like the colorful outfits you see here.